OceanConnect Marine (OCM) today announced the addition of three new bunker traders in Singapore, Joon Kim, Daniel Park, and Danny Han, who have all joined OCM's Asia team effective immediately. The trio will be led by Kim and will initiate a Korean supply position for OCM. "Joon Kim, Daniel Park, and Danny Han are highly regarded fuel professionals, and I am pleased to welcome them to the OCM team. With these hires OCM's Korean presence grows even stronger," said OCM Managing Director S.I. Shim. 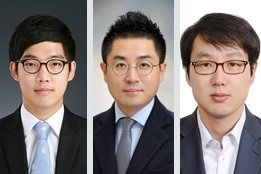 All three were noted to have previously worked in Seoul for WFS where they handled Korean supply and led marketing efforts in both Korea and Japan. Kim's prior experience includes trading products for LG International Corp. followed by a stint at O.W. Bunker, where he was regional manager for Korea and Japan, while at WFS he served as commercial manager for Korea supply. He is fluent in Korean and English, and conversant in Japanese, and a graduate of Hanyang University with a degree in Chemical Engineering. Park, meanwhile, was said to have ten years experience trading the Korean and Russian Far East markets. He is fluent in Korean and English. Han brings two years experience as a Sales Representative to Korean shipping companies and Japanese trading houses. He is fluent in Korean and English. "We are pleased to join a company with such an excellent and robust reputation as OCM, and we look forward to creating value from day one," Kim said.